For me PvP in DST is just ummm retarded... In this form currently have no sense. 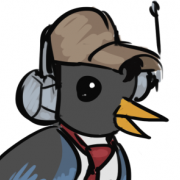 If people really want PvP than Klei would make something like Forge. With small/medium arena, time for wearing items and next fighting as characters with classes skills, no personal. With tour system or "the best fighter" system. 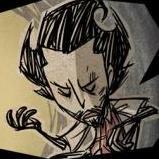 But I think then Klei will make team for doing new PvP system with arena ect at the expense of normal game. This is easy to reproduce i'm sure. Entered new caves with as Warly, full inventory, no portable crock pot. Game detects Warly is missing it, spawns it right by the rope since inventory is full. You now are unable to use the rope or pick-up the crock pot. I've been thrown into ironman mode. Yah hopefully their doing all this on purpose. Maybe the new areas will be super hard? Or maybe they're just making the game a little easier. "downsides" seem a thing of the past. If you look at Wino and Wortox, klei is slowly but surely making everyone really good. That's not that bad of an idea to achieve balance, sorta. The new main downside is "is not another character". Because Klei is like Shrek! Sorry I cant find better clip! PVP is not the core of DST and should never be. The reasoning "Lighter was too strong in pvp" just shows how little Klei pays attention to what we wanted out of this. The Willow mains (people whose opinion on this should matter more) want fire immunity, a useful lighter and for her to be different from Wilson. As long as we get quality, that's all I want. PErhaps the torches and pitchforks won't hurt klei too hard. currently the majority of the don't starve together community oh thanks! I’m also looking for a response. I hope same day as PC. I had a friend purchase the game when I saw mid-April. We’ve been waiting since. I took a break from DST in early 2018 after 2-3 years of playing and am returning after reading the 2019 roadmap, expecting the new content soon. I missed The Gorge because of the lack of news and I watched The Forge. Exactly. And everybody wants more perks to her. I would like fire immunity only if they add another downside. People forgot - Oryginal first Willow had fire immunity and was OP. Without any problem she won in PvP, being the best pick for grief. Last time I heard cry about PvP in Don't Starve Together - in my opinion PvP in DST have no sense, sorry guys - and now you want fire immunity? Are you good bro? This attitude just showing how community is divided and without one specific trend of thinking. Half want fire immu, half dont want fire immu, half is happy, half is angry. Nobody can please you. Her revamp sounds good, 100% better than current Willow. More options with Bernie are the best part of her rework. I dont know what should I think about freezing and overheating, but for me - as common Willow player - sounds good, something fresh? Im sure legendary Willow's player know better I want to test she after release this refresh. And I want one for revamp Willow ... bigger dmg during using fire weapons. Not 50%! But maybe +10% aganist mobs? As master pyromaniac she should know how powerfull is fire! In game we have fire staff and fire dart. Both arent so usefull and people just dont use they. In game melee weapons like spear or hambat see the lead. It is the best time for making unused items more used! Im little sad about channged dates in schedule. But I understand that was the last resort. I accept it with distaste and I hope that you will develop everything as you imagine. Also I love Klei attitude, they can write apologize (?) and explain why they must do update in other term. I've always respected studio for it, for being open for community. Which happens to be more hungry than lions in a cage. I vote for Willowpool to be the next update. Bernie can be her pikachu. Wait so is the only downsides that she takes more damage from the cold? [Gameplay] Platform Nintendo Switch Do you use mods? No Issue title Season Change (Summer to Spring) by exploring the Caves and Ruins. Steps to reproduce Enter the caves, Enter the Ruins, stay some days in the Ruins (day 140+) Describe your issue Entered the caves many times on this save file without any problems, but on day 140+, during Summer, when I was exploring the Ruins, the season switched back to Spring, went back on the surface to check (temperature, music, etc etc) and confirmed that it was, in fact, Spring. It seems like this bug didn't die but just got rarer. Extra: playing on RoG with compatibility with shipwrecked ON. I really want to know how the new Bernie works, that could be really interesting! Also, thanks for the work! I'm really hyped for the new short I was hoping for some magic perk related to fire oh well. That fuel related perk is not that useful to me, but i don't exacly know how efficent it is... so i'm gonna wait. Fire inmunity is not that necessary but could be really useful for her, someone explained why already, is inmunity, do we really need arguments?. I also like the infinite lighter idea but both is too much i think. If not, she really needs some interesting perk related to fire, actually a useful one. OhMyGosh Willow is breaking the fourth wall and waving goodbye to JoeW! That's what the story is! Personally I rather like the idea of her being immune for a time before taking damage. But it also depends on just how many seconds that would be and how it'll play into the pace of the event. And I would also wonder if there's a cooldown before her immunity resets, and she can go in again for a bit without getting hurt? Fire strafing? I've never really liked the idea of her being entirely immune all the time, but her being immune long enough for certain events. Like being able to withstand being in a forest fire long enough to retrieve items, or setting an enemy on fire and being able to get in a good few swings before having to step back. These few seconds and the damage reduction could be enough time to make an impact before you have to retreat. It's one of those things that might seem disappointing until you get in there and finally test it out? It's hard to know without experiencing it first hand. So hopefully it's a good middle ground in the end for those who do and don't want full immunity. I love this suggestion! 10/10. The "pyromaniac" title never felt like it fit as there's no real big drawback from her not setting fires. I'd be really cool to actually have to actively set fires or risk getting too stressed. Having to make some sort of "safe zones" to set things ablaze without causing too much actual damage to the camp or resources. Or just hoping that the forest you panicked and set on fire isn't, you know, super important or connected to half the map. On the bright side you'd probably rarely be short on charcoal if you had to go forest burning every few days!